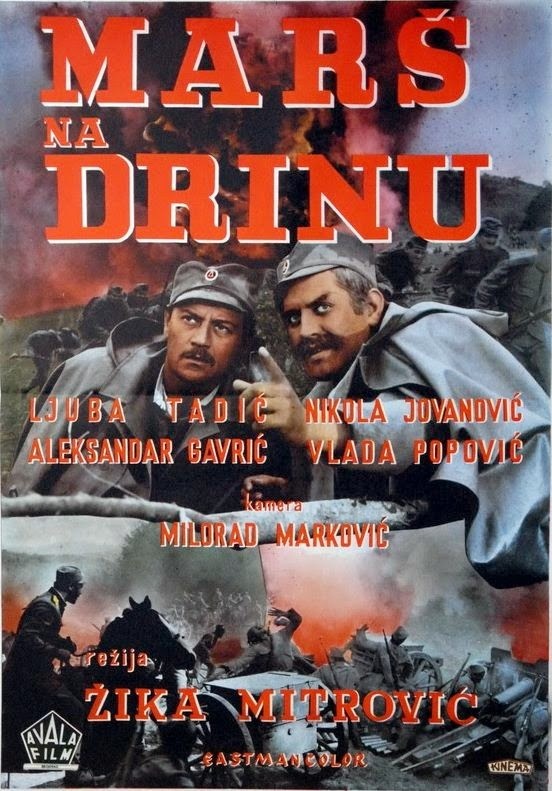 I don’t expect I’ll be reviewing too many Serbian Great War Films so I didn’t know what to expect with this one. It could’ve fallen anywhere on the spectrum between dreadful and genius and if I’m honest I wasn’t really expecting it to score at the genius end of the scale. ‘March on the Drina’ is the story of the first major battle of the Great War, or at least the first one where the Entente Powers gave a half decent account of themselves. What we basically have is a story about an artillery battery who are ordered to defend a river from the advancing Austro-Hungarian forces. The battery were force marched for several days and because their leaders couldn’t quite make up their minds which river was going to be attacked they had to reroute after a couple of days and force themselves on even further. It’s a true story and the writer and director have clearly demarcated the events and even the days when certain elements of the story occurred. 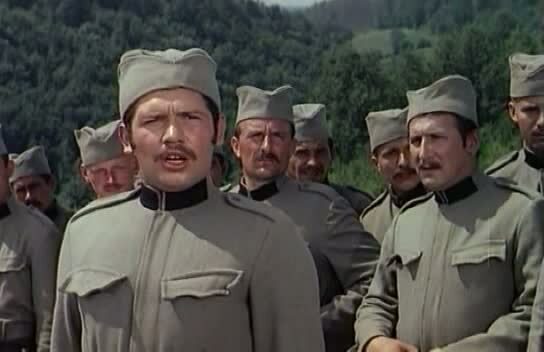 Most of the film is taken up with marching and the point is laboured a fair old bit. Lots of sleeping on horseback and falling off things as the dog-tired soldiers struggle to keep themselves awake and vertical. It’s a character piece and the writing is all about the interactions between the comrades. As such I’m not sure the youtube version I watched with its’ slightly iffy subtitles was a good choice of source material for this review. I’m fairly confident quite a bit of dialogue was lost in translation and what is left seems to have been run through Google Translator. 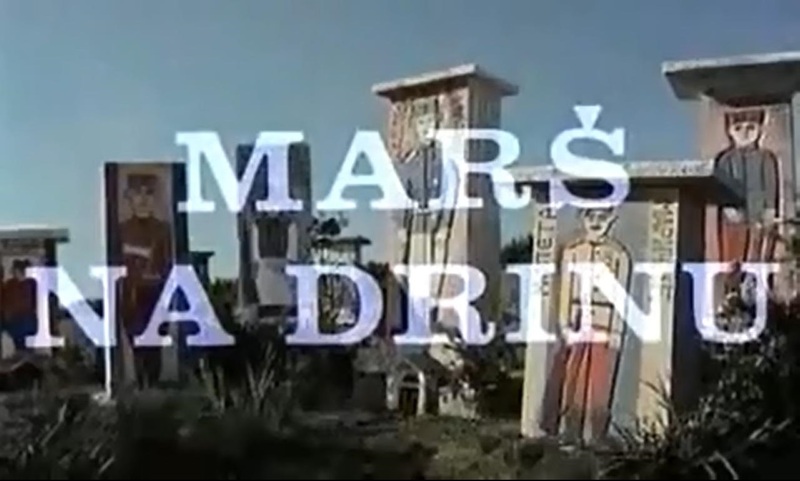 From the opening credits this film has a very Eastern Bloc feel to it. It opens with a slow scroll past some colourful graves with pictures, I guess, of the people they are memorialising. We get to see a bit of background on some of the main characters. There’s the son of a prestigious Banking family who’s screaming out to be treated like a real man and see what war is all about but the family want to secrete him away in a safe desk job far behind the lines. There’s a gung ho battle hardened veteran who enters stage left, drunk on a horse and cart (indoors), with a jauntily angled hat, a cigar on the go and a flourishy wave to the ladies at the bar. My initial feeling was that the film was of a good quality and in general that feeling carried on throughout the whole of it. 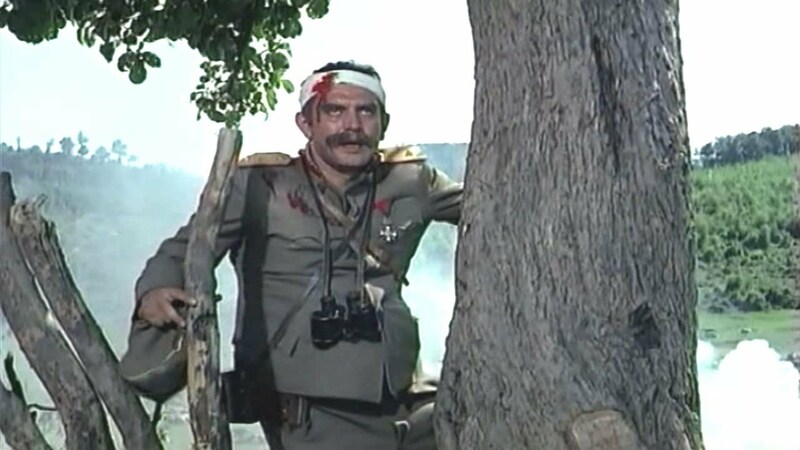 There’s a bit where the director is trying to portray a night-time march but it’s obviously shot in broad daylight and then had the contrast turned down. There’s a scene where a guy reads cards to tell another chaps fortune. It’s shot from two sides and they didn’t bother to match up the cards. He shuffles and deals. Shot from the front, there’s a load of picture cards, jacks, queens, kings. Cut to the camera over his shoulder and the cards become low value, number cards. That’s me being a bit picky though. Overall the quality is good for the era. It sort of looks similar to ‘King of Hearts’ in cinematography and was from roughly the same time. However, for the most part it’s well put together. The distant sound of guns swell as the battery march on. Closer and closer. The sense of anticipation is palpable and as the guys talk between themselves they don’t really have any idea what’s to come. They literally trip over some Austrians before they realise where they are. It’s interesting watching this knowing what we know now about how the war was fought and what the outcomes were. These guys, in 1914 would’ve had no idea what they were about to be confronted by. Their small horse drawn guns and shiny uniforms against the full industrialised might of the Central Powers. I liked it. 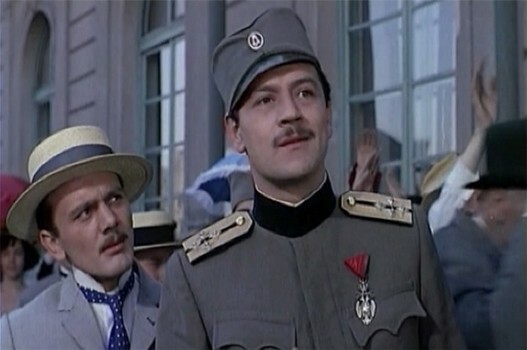 There were a lot of the standard motifs that are present throughout the genre but there’s something about Soviet era films (this was filmed in 1963) that are just a little bit different. It’s like comparing the NASA space shuttle and the Soviet equivalent, Buran. They have the same blue-prints (some rooskey spy stole them), the same guts, but they are very different to look at. It’s the same here, this film has heart and isn’t afraid of being about the people. The machinations of war are secondary. Even at the end when the battle reaches a fever pitch the focus is still on the interactions between the various elements of the battery and how they worked together. Would I recommend it to you? Yes, but probably not the youtube copy I watched. It played at the Zagreb Film Festival last year according to Wikipedia and I bet it would’ve been cool to watch it on a big screen, a conversational understanding of Serbo-Croat would’ve helped too of course. So if you can find a good copy with decent subs go for it…and let me know what you think.